In the domain of property investment funds, Internal Rate of Returns (IRR) is an estimate of the rise in the value of a property for the time duration you own it. Numerically, it is the value of interest you are going to get for the money you have invested in a property. IRR plays a key role in the evaluation of different real estate properties, particularly for the investors. Let’s have a look on the factors which makes IRR meaningful for property fund investors. Cap rates are usually used to evaluate the viability of a real estate investment with the help of its net operating income and its price tag. However, it’s not a comprehensive evaluation formula and can only hold true for short-term property investments. 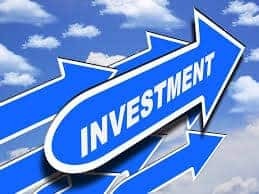 On the other hand, finding internal rate of return of a property investment fund means you are getting an inclusive idea of the range of returns you will get through the course of your investment fund. The problem with many property evaluation formulae is that they don’t provide you with the time value of money. However, with IRR this is not the case because it takes into account factors affecting the time value of money. To keep the track of the time value of money for a certain property fund, IRR associates capital flows over a different time phases with existing net value. This measure helps in taking care of all the factors which are important to find the value of capital overt time (opportunity cost, risks, inflation etc). This important feature of IRR helps investors with better decision making because they can see how capital flow of their property investment is going to look like in future. IRR for any property investment fund is not linked to any other type of evaluation measure of capital budgeting. For instance, many times hurdle rate (which is an extremely conflicting investment evaluation measure) has been integrated into the assessment of property investment ventures. IRR doesn’t do this. It is completely free of such strings, which enable investors to compare their own estimations the way they like it. If you are interested in investing your capital in property funds then you can have their IRR evaluated by Stamford Capital Investments. The company also provides direct real estate investment opportunities. However, there are some limitations of IRR as well which should be known if you want to foray into property investment funds. IRR doesn’t take into account the size of project and only focuses on capital expenses generating cash flows. However, this limitation doesn’t affect majority of the property investment ventures. Moreover, like any analytical method, it doesn’t take into consideration any unforeseeable risks and future costs. Nonetheless, we all know it’s not possible for anyone to consider all the infinitesimal details regarding any investment. Therefore, even with these limitations, IRR is the best available tool for the evaluation of property investments.